77 down limit, 26 one-word limit, 0 only natural. The performance mine caused by the goodwill problem is further transmitted to the entire A-shares today, so that it is likeMaicheng,Keda NewsSuch high-performing large-cap stocks also suffered a flashback limit today. As a share, Keda Xunfei plunged 9.9% and 8.8% respectively. Old investors will certainly feel that the recent two-day market is very similar to the small-cap stock crash caused by the pledge of equity in listed companies in the second half of last year.At that time, if a stock was smashed by the media, the stock price immediately fell. After the continuous downfall of the film, it was further transmitted to the entire A-share market, which eventually led to the liquidity problem of the entire market. Many high-capital and large-cap stocks would suddenly collapse. Until the regulatory authorities rescued the market, restricted the brokerages to close the position, the local government set up the bailout fund to relieve the listed company, and the equity pledge crisis was finally cracked. Then, is there a solution to the market crisis caused by the goodwill issue this time? As early as last October, the regulators have noticed and reminded listed companies of the 1.4 trillion goodwill impairment risk. Because worrying about the concentrated impairment of goodwill will drag down the index, thenThe regulatory authorities recommend that listed companies adopt the method of amortization of goodwill, and in the accounting rules, the impairment of goodwill for the current year will be distributed to the subsequent fiscal years. For example, a listed company has a net profit of 1 billion, but this year, 500 million goodwill needs to be prepared for impairment. If all the losses are made, the listed company's net profit will be reduced by 50% this year, which is undoubtedly a mine. However, the regulatory practice is to recommend that listed companies share the 500 million goodwill of this impairment into the performance of the next five years, and allocate 100 million yuan each year. In this way, the impact on the annual performance is diluted, so there is no so-called mine. Unfortunately, the idea is very full, and the reality is very skinny. Listed companies and regulators are not at all on one channel.The boss of a listed company thinks that the goodwill is apportioned every year. Then I will carry a baggage every year, and I will not open my fists. If the business is not good, the losses will be delisted by ST or directly for several consecutive years. The goodwill is fully accrued at one time, so that the mine is completely destroyed, in case of future troubles, so that it can be lightly loaded later.In fact, most of the listed companies in this year are doing this when dealing with goodwill. The opinions of the regulatory authorities and the practices of listed companies have their own advantages and disadvantages. The regulatory layer wants to keep the index from systemic risks. The listed companies want to focus on the big and small issues this year, and the future development of the company. More favorable. So how do we avoid the goodwill mine risk of listed companies? I have a list of listed companies with the total value of goodwill in the third quarter of 2018 in the top 100 of the listed company's total market value. I suggest you save it. You can take a look at it before you operate. You may be able to help you avoid N mines! But then again, there is no absolute positive or bad for A-shares. If it is good, it will be bad, and it will be good for bad. Goodwill mines have a devastating blow to the short-term share price of listed companies, and they have dragged the index down, causing many high-quality stocks without performance problems to be smashed. After the end of the pre-disclosure period of the listed company's performance on January 31, the stocks that were wrongly killed will rise back. By that time, it might be a wave of 20%, 30% or even 50%. 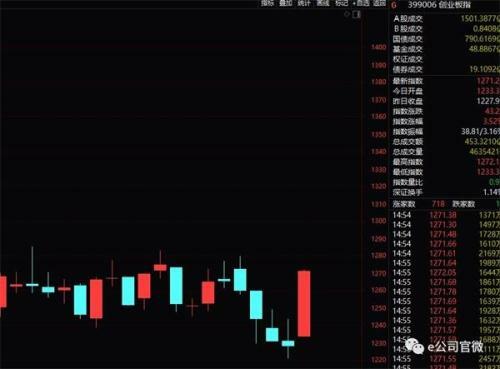 Take the photovoltaic panel faucetLongji sharesIn fact, because the photovoltaic industry released a new deal, the subsidies were cancelled, causing Longji shares to fall more than 60%.Later, after the news cooled, the Longji shares began to violently rebound from August. So far, the increase has exceeded 100%. The same, there areVanke APreviously, due to the introduction of real estate purchase restriction measures, Vanke A continued to fall, but with the restriction of purchase restrictions gradually accepted, Vanke A has been exhausted from the vicinity of 20 yuan to 27 yuan, a cumulative increase of 35%! Therefore, we have every reason to believe that after the pre-disclosure of listed companies on January 31 and the release of the goodwill value risk, A-shares will have a new chance of making money after the Spring Festival! Then, as ordinary shareholders who lack professional ability, how to seize this opportunity? We know that as large as an index and as small as a stock, the price increase must be the inflow of funds, which will cause the stock price to fall. This is the basic law of the entire capital market. The decline in the previous market was not so much caused by the problem of Chinese and American sweaters. The root cause was the collective withdrawal of institutional funds. For example, the above mentioned Longji shares, on the surface, are the negative effects of receiving subsidies and declining, in fact, in the final analysis, the sale of funds. In other words, even if the stocks have bad news, as long as the funds inside are firm, the stock price will not fall. today'sRenfu MedicineThis is the best example. The previous day’s forecast was a loss of 2.5 billion. Today’s stock price has opened lower and higher, and it has risen 8% on a single day. This is definitely the result of the operation of funds. Click to view stock selection method:How did I catch the Taiyong Long March 3 connection? If you want to learn more about the stock selection and operation methods from the perspective of funds, you can subscribe to my short-term course "from buying to selling, seven lessons to teach you to catch the daily limit." 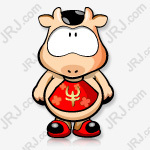 The original price of the course is 299 yuan, and the current price is 39.9 yuan. 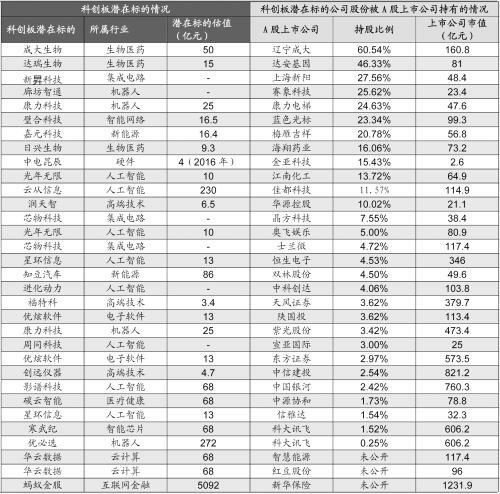 For all investors, Xiaobai can also learn and operate. Although there are only seven classes in the course, I have talked about the whole process of selecting, buying, holding, and selling.. Most of the stock market courses on the market now take the historical trend of a stock to analyze, draw various lines, talk about various indicators, and then flicker that you can choose the bull stock according to this form. The actual operation process has a very low success rate. I believe that everyone has experience. My course is really based on funds, dynamic analysis of the game of capital in the process of stock ups and downs, more importantly, I have established a reusable trading system, so that Xiaobai can master in a short time. This method. The three boards of the Taiyong Long March, I chose this method. You can look at the evaluations of the stockholders who bought it before. Here, I also thank the friends who have supported me all the time. Finally, let's talk to everyone, and then there are two trading days. This year's market is over, and the possibility of making more profit is not big. Just like the blind person, relying on luck to pick stocks, it is better to master a set of real energy. What do you think of helping you make money?